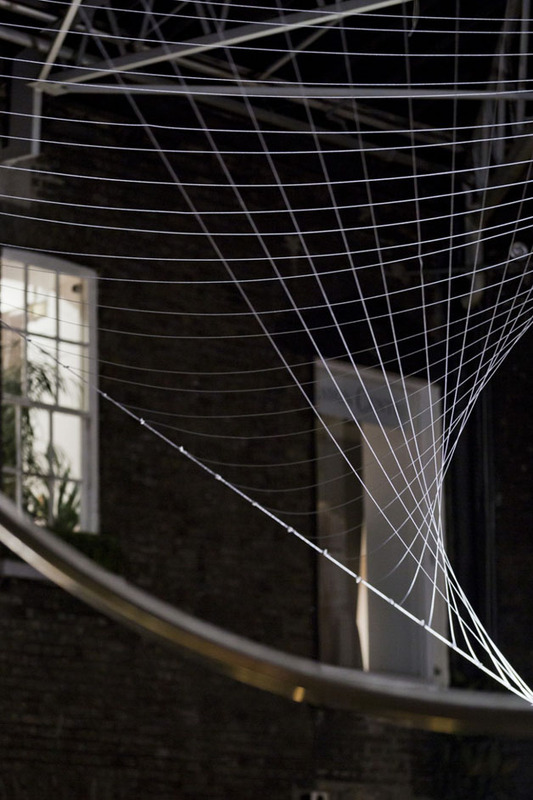 Part-Funded by the Arts Council through the ‘Engaging with Architecture Scheme’. 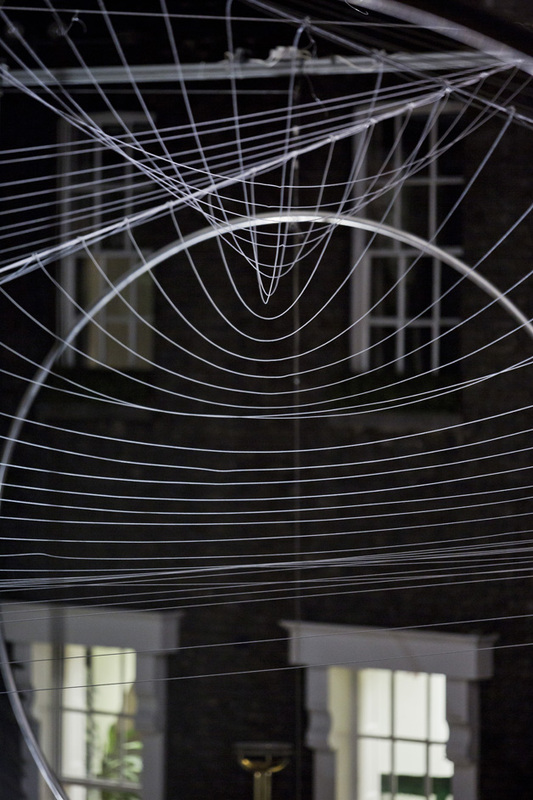 warp for further information on the design process and installation of this work. 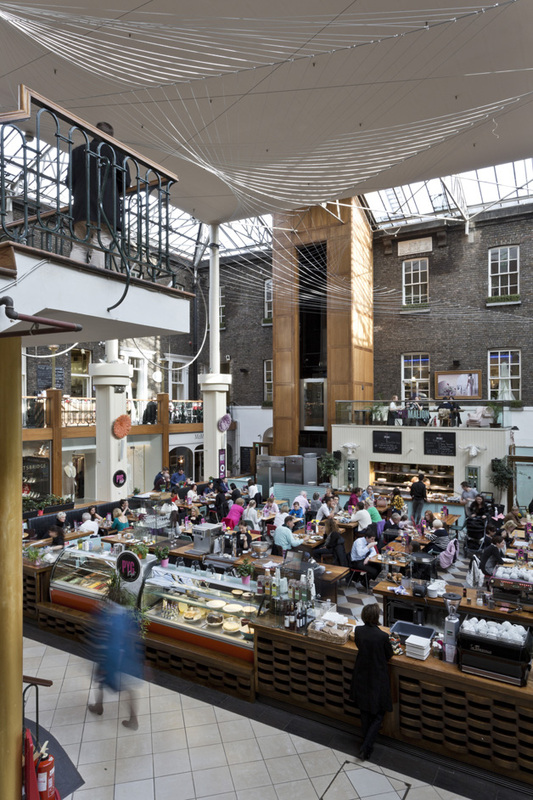 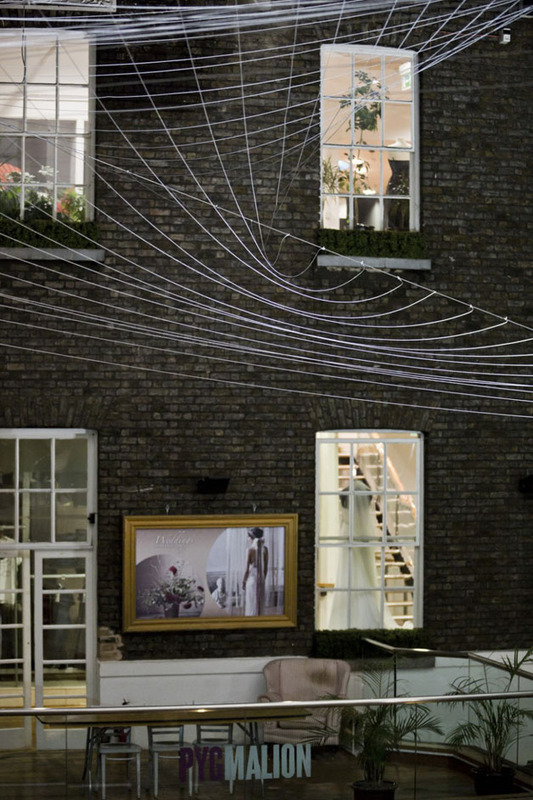 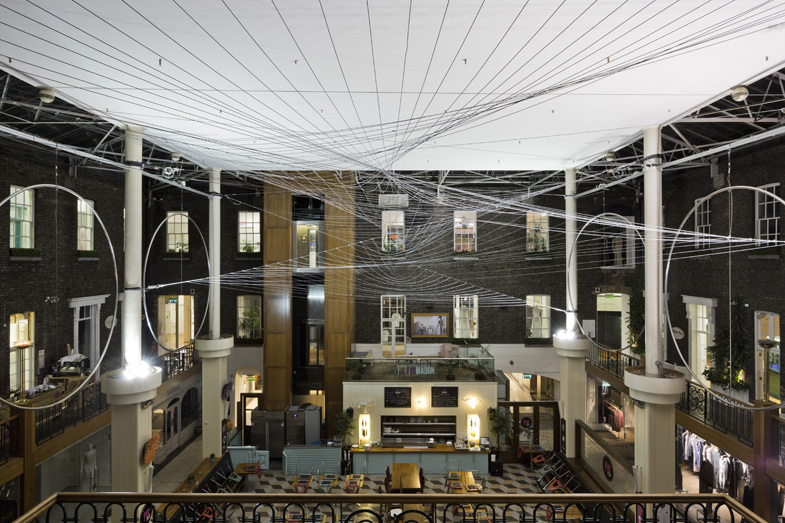 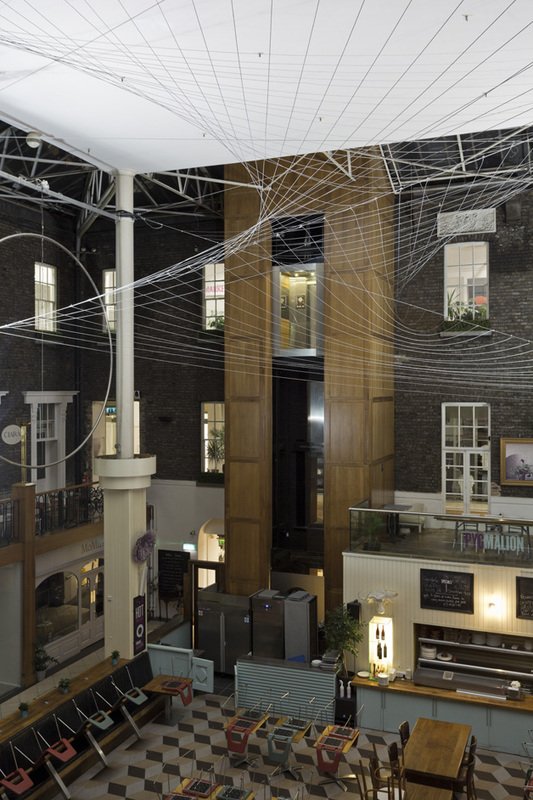 This installation in the Powerscourt Townhouse responds to the history of the building, and the scale and height of the atrium, directly connecting to the ‘Memory and Place’ theme. 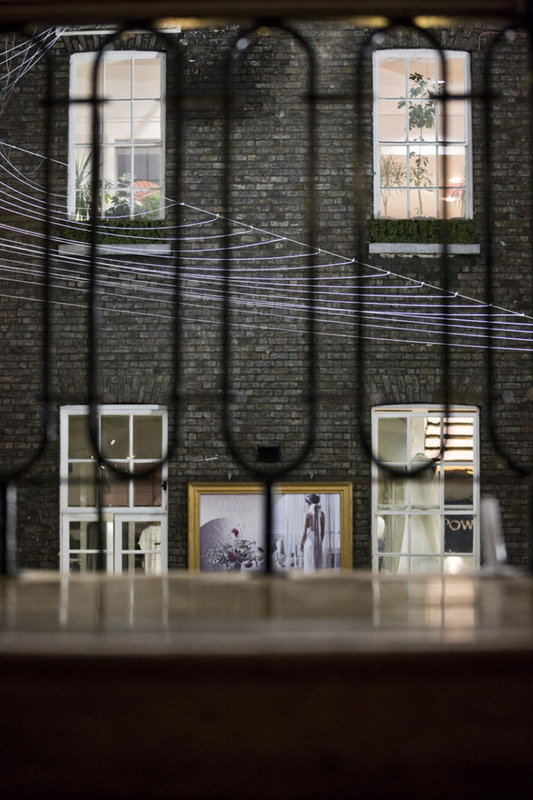 Powerscourt Townhouse has been associated with fine clothing since its inception – the gentry who once lived here threw lavish balls; drapers Ferrier Pollock occupied it continuously for over one hundred years, and today it contains fashion designers, clothes shops, and hosts runway shows. 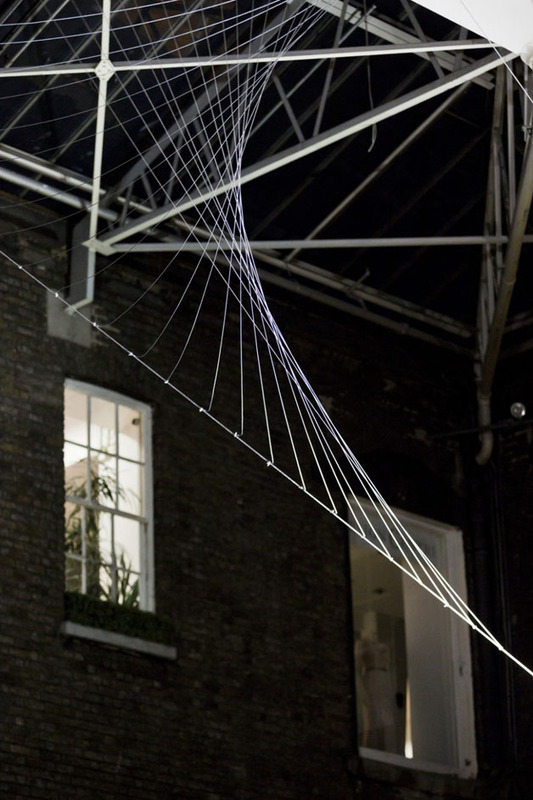 For this reason we looked at textiles for inspiration. 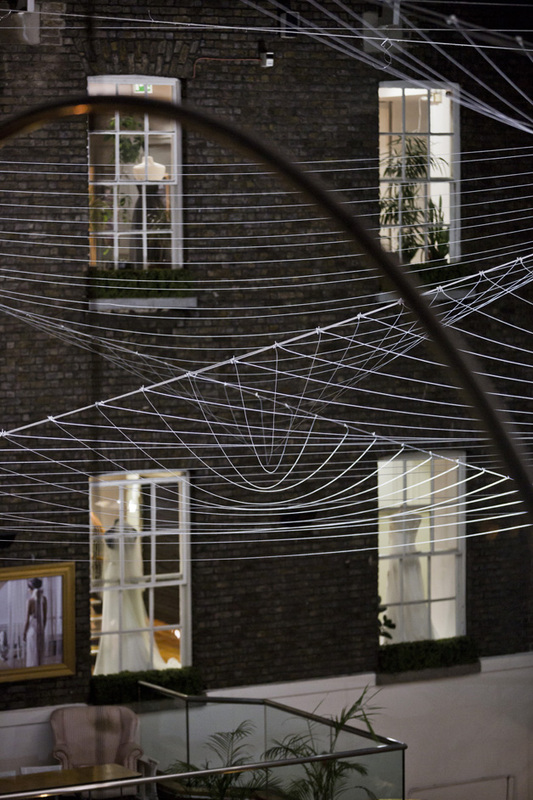 The nature of fabric enables it to drape and twist over the contours of the shape that props it. 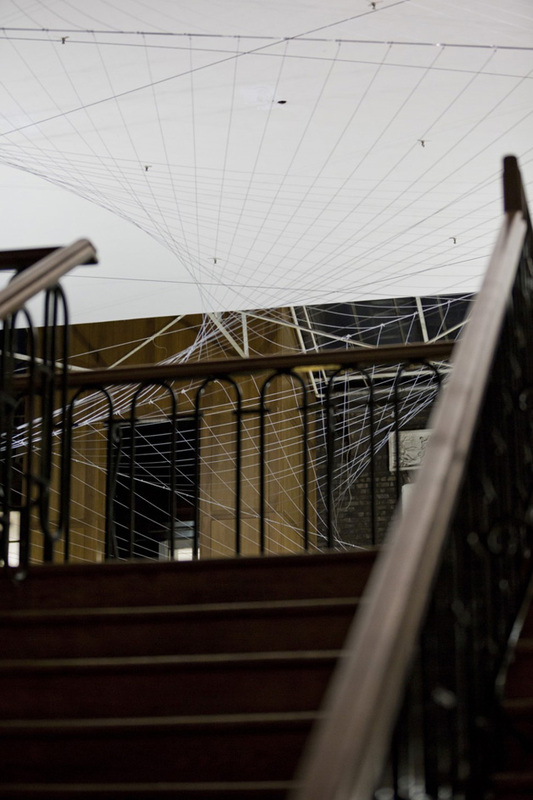 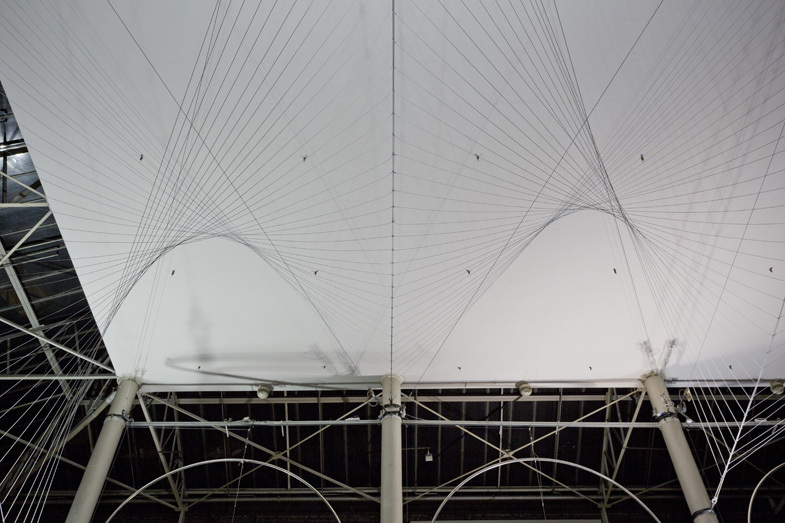 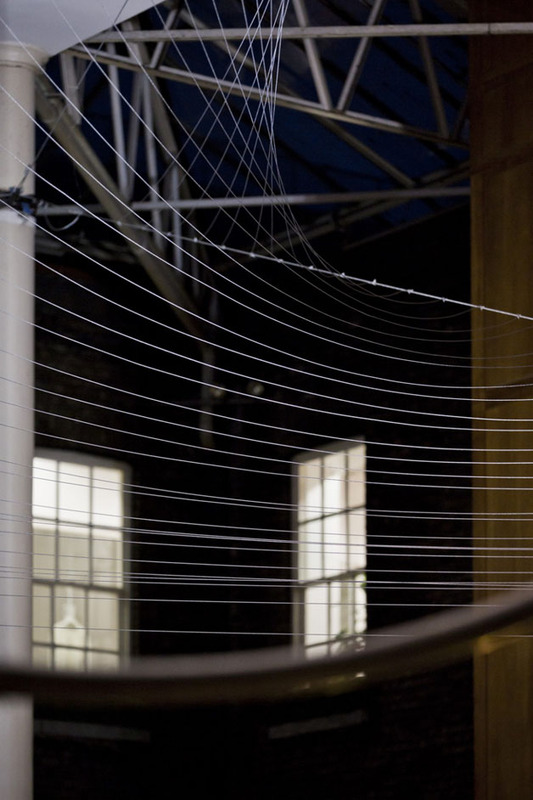 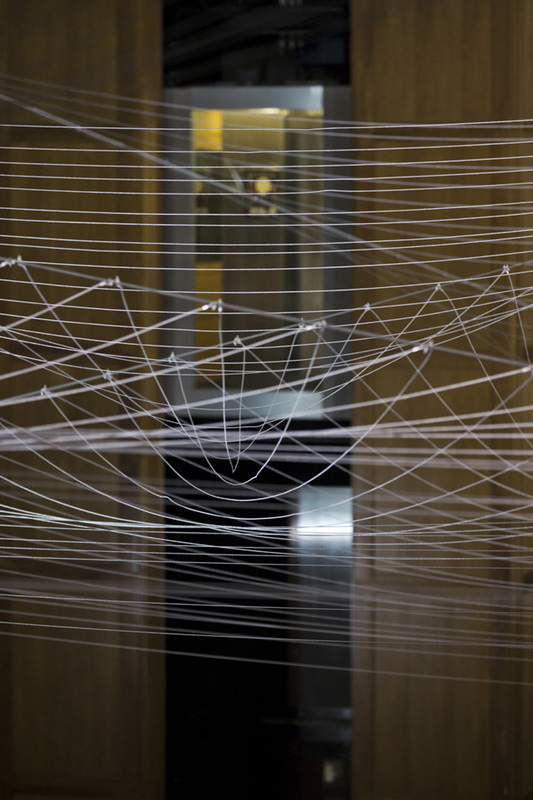 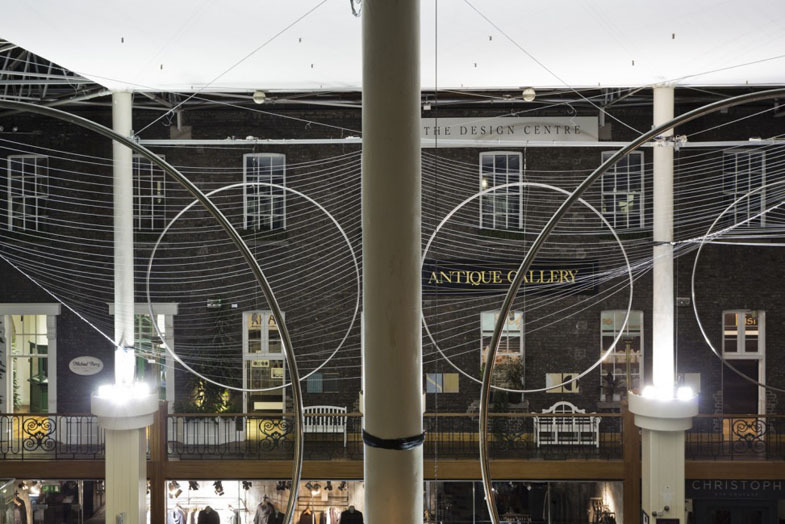 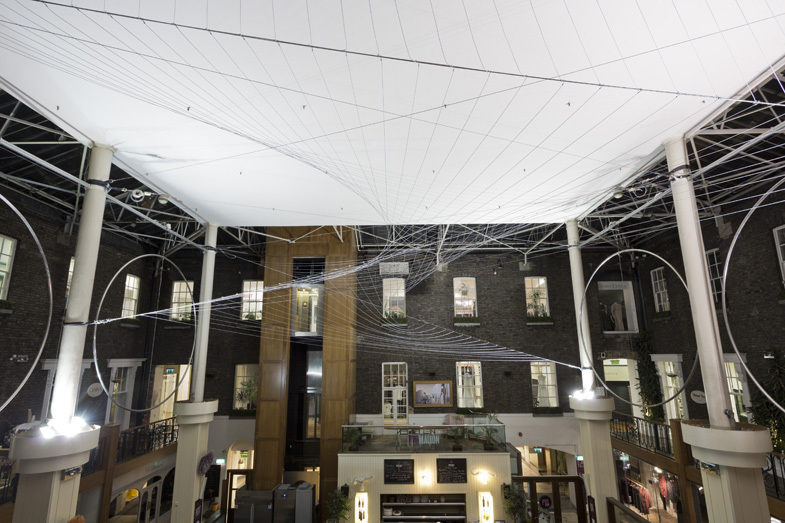 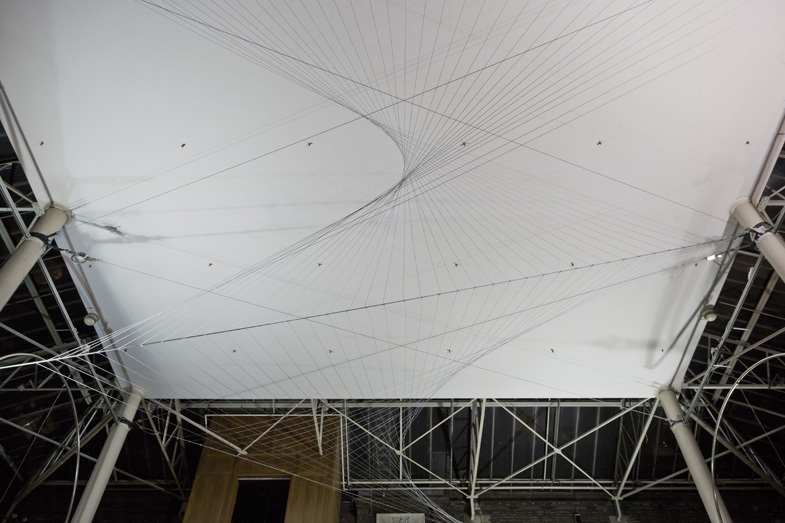 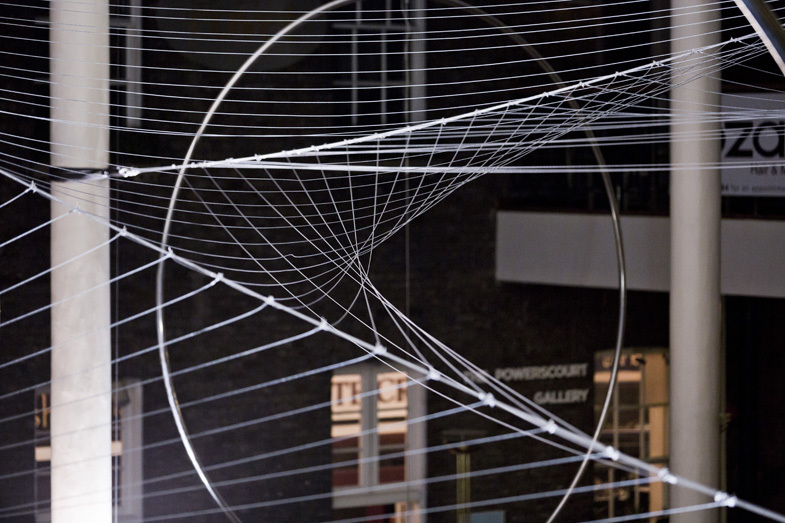 This twist is what our installations portrays; a large model of the little twist in a weave of cloth is suspended in the centre of Powerscourt’s atrium, where the public can move freely around the building and perceive it from every angle. 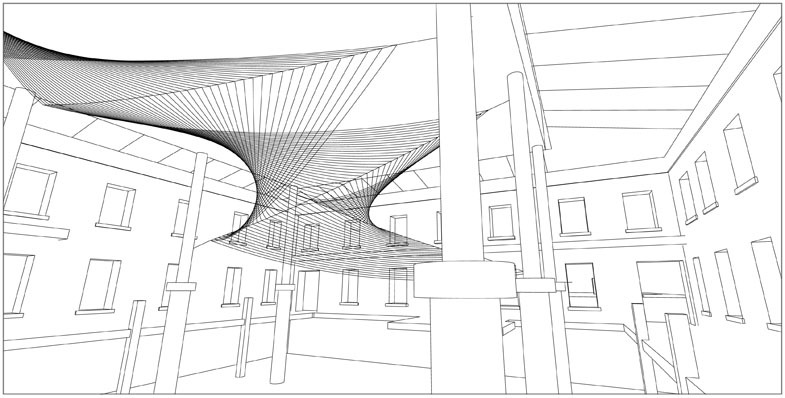 The twist is tailored to fit the space, to billow above the stairs and flow down towards the balcony. 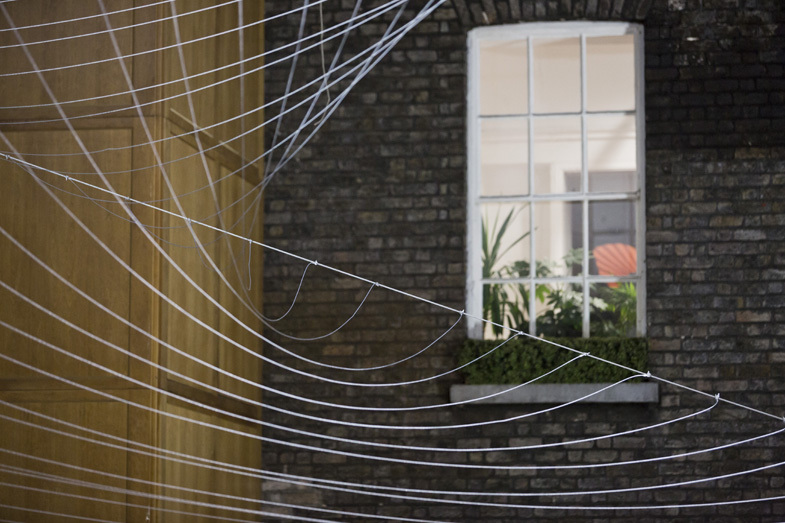 The warp threads of a weave are twisted by the simple act of fixing each of the eight points at different heights, creating a form of complexity in simplicity – an evocation of the small beauties and intricacies that you can find in everyday objects and spaces when you stop to look closely. 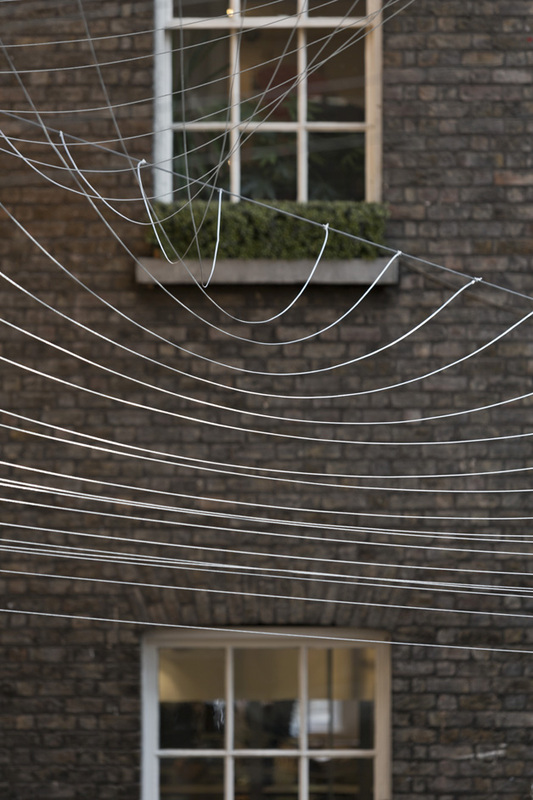 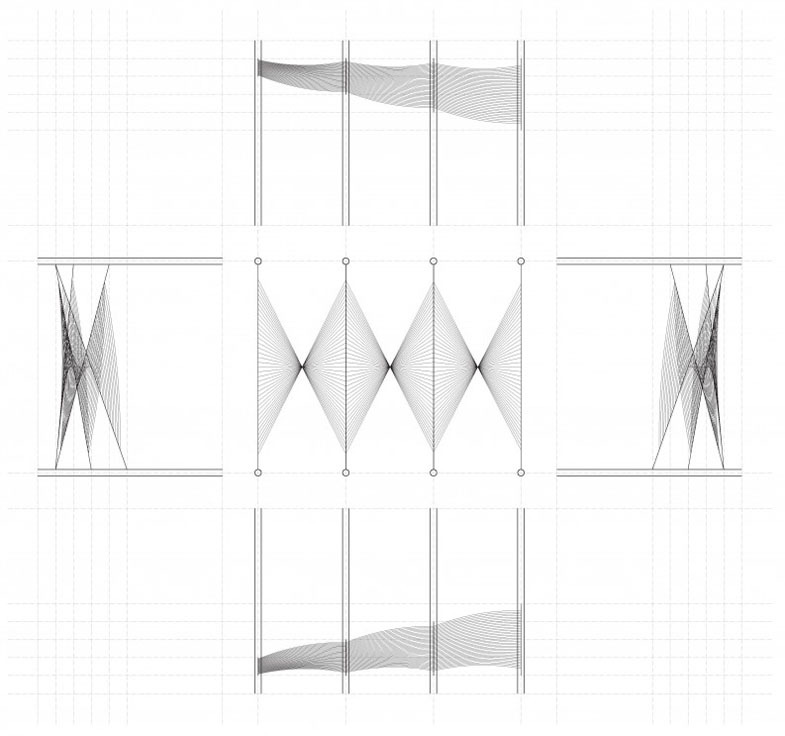 NÓSworkshop is a design collective of graduate architects based in Dublin. 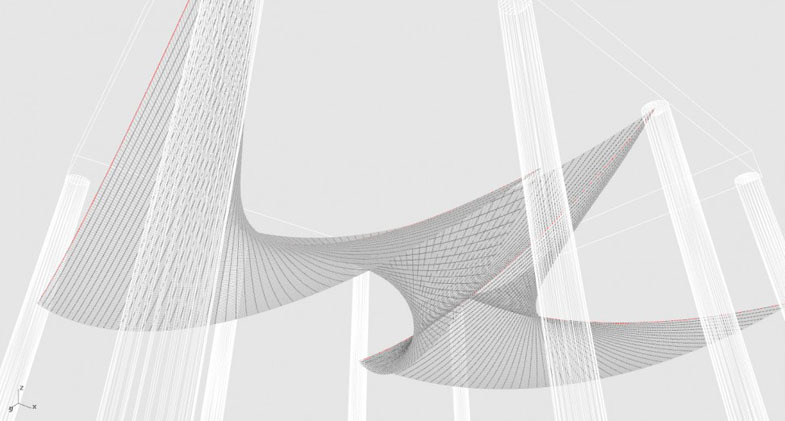 They are a core team of five members who are involved in all aspects of the design process and realisation of their projects. 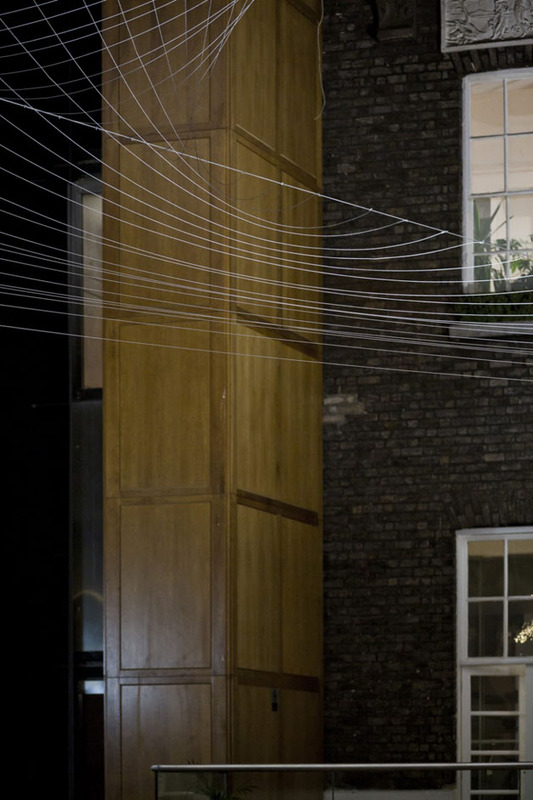 NÓSworkshop emerged in 2011, during the last recession in Ireland, where they came together to re-think how architecture could be created and practiced in an environment with restricted opportunities.